give the golfer the ultimate fit. The intense and ongoing training provided by the H-G staff insure high quality in the fit and performance. Buy more than hope with golf clubs, invest in custom fit Henry-Griffitts club to fit your unique swing and game. 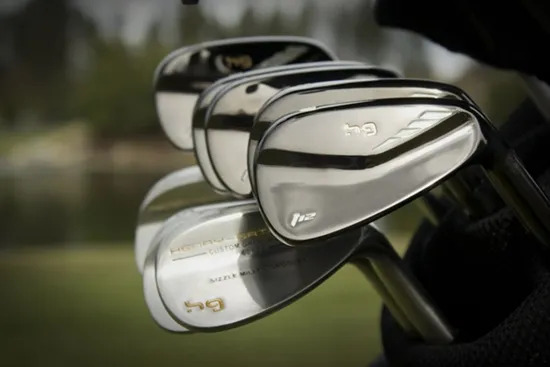 The H-G Custom Fitting product family includes Drivers, Fairway metals, Hybrids, Irons and custom grind Wedges. 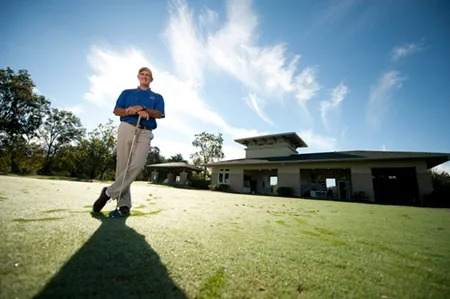 Rob Noel Golf Academy knows Henry-Griffitts offers the best fitting training in the world, and we offer a service far above and beyond any other in the industry. We build a working relationship with a student. Our Henry-Griffitts Certified Teachers also put together the ingredients to build the perfect set of clubs that will fit the swing of each individual student. 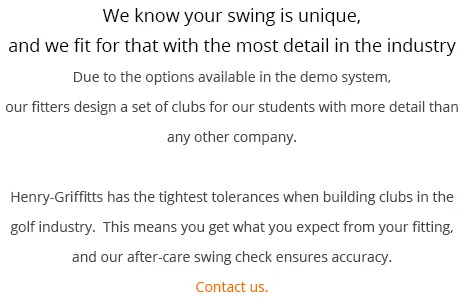 We want to provide the best set of clubs for your unique swing to help you play your best golf. "Any facility or staff seriously interested in giving the golfer the best fit possible should consider the H-G system and training, there is no comparison in the industry. No other system provides the flexibility of H-G, the endless possibilities along with trained teachers give the golfer the ultimate fit. The intense and ongoing training provided by the H-G staff insure high quality in the fit and performance."